Are you a Craftivist without even realising it? So, I ran out of time on the weekend to get this post written, but it was something I really wanted to talk about as part of Philanthropy Week. In my mind, activism and philanthropy are often associated. Philanthropy is, after all, about helping to make change, and often there is a struggle to change the status quo, which results in the need for activism. And so we come to the world of Craftivism. Have you ever thought of yourself as a craftivist? What does that word mean to you? If you’re in Australia, you’ve probably at least heard of the film Making it Handmade by Anna Brownfield, in which she documents crafters who are using their craft to make political statements. 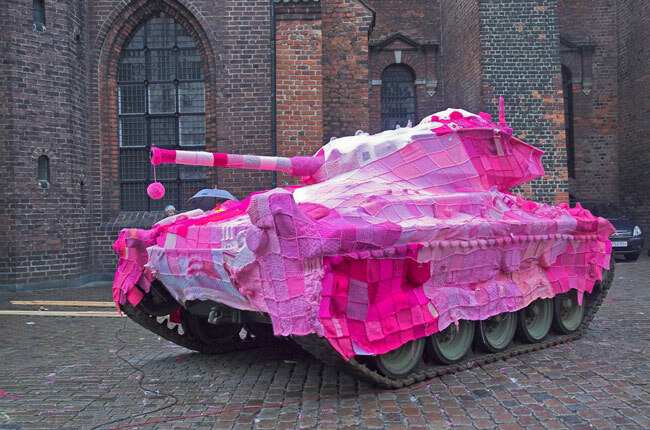 That is the most obvious form of craftivism. But if we take another look at Greer’s definition, I start to wonder if many more of us are craftivists without even realising it. The Wiki article on craftivism also discusses the connection between craft and feminism. The second-wave feminists (in my case, my mother’s generation) tended to turn away from all things crafty and domestic. They saw such activities as demeaning, or a waste of time – choosing instead to focus on their careers and getting out into the ‘man’s world’. My generation of women are the happy beneficiary of all that they did to bring equality closer to being reality. The thought that I might get fired from a job for getting married is laughable to me, but was reality just a few decades ago. How the world has changed. Somewhere along the line – in just the last decade or so – craft has made a resurgence. Third-wave feminists (that’s me, I guess!) have once again embraced craft as a way of connecting to our history, our roots, our feminine past. Many – like me – have had to independently discover craft, as it wasn’t part of our upbringing. In fact, for many of us, there might have even been a bit of shame at first when we started making craft. Shame at the idea that we were embracing something ‘demeaning’ to our modern femininity. However, many of us are not just embracing craft – we are melding craft and commerce to bring about a quiet revolution in how craft is perceived and valued. Those of us profiting from our craft are – whether by design or not – a part of the New/You Economy movement that is taking shape. We’re breaking down the modern chain of commerce (customer-retailer-wholesaler-manufacturer-designer-investor) and are actually going back to traditional commerce – where you bought directly from the maker/grower of your goods. I, for one, love this aspect of my craft. I think it’s an essential element of the handmade movement – especially in this day and age where everyone is crying ‘disconnection’. I shop at the farmer’s market, I buy my meat from a butcher who can tell me exactly where it’s from, I buy most other things I want direct from the maker. I love this connection between maker and buyer that you simply cannot and will never get when purchasing goods from a chain store. And slowly, as more and more of us make, sell, and buy craft in this way, we’re contributing to a change in our culture. I, for one, am thrilled to be a part of such a movement. Living differently – moving away from mindless consumption towards thoughtful consumerism – is a vital part of my life, and of the lives of many of you, too, I would wager. And I have craft to thank for that.